To fight false narratives and hyperbole, we must meet people where they live. Literally. Should the Rise of Other Nations Frighten America? 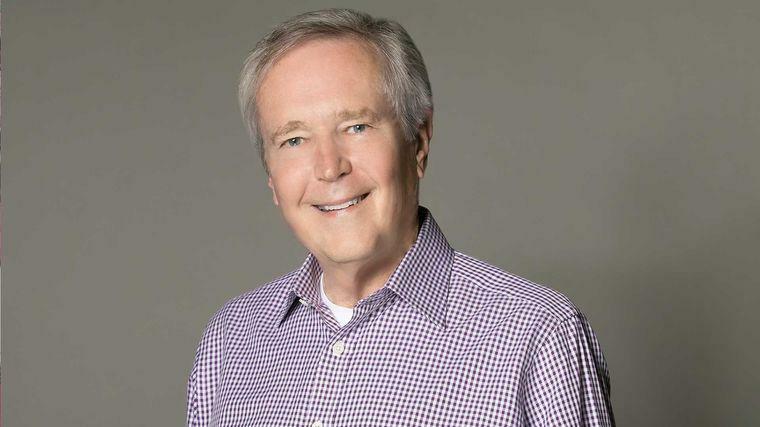 James Fallows is one of the world’s most respected journalists—an intrepid, yet sensitive investigator of his world and others, honored by the American Academy of Arts and Sciences as an elected member for his 50-year career. His latest New York Times bestseller Our Towns (co-authored with writer and linguist Deborah Fallows), offers an illuminating portrait of the cultural reinvention taking place across America. In his talks, Fallows shares the stories of grassroots innovators—detailing the growth and optimism not usually covered by mainstream media. Our Towns is a tale of American strength, ingenuity, and progress, and Fallows is a world-class storyteller. You might think America is in shambles. If you’re on the left, it’s unraveling; if you lean right, it’s decay—but both perspectives are reacting to the same trends. To find the real story of what America’s facing, Fallows embarked on a five-year journey by single-engine plane, visiting towns and cities across the country. The result is Our Towns: A 100,000-Mile Journey into the Heart of America, co-written with his wife Deborah Fallows, already a national bestseller and getting rave reviews: “an eye-opening, keenly optimistic reminder of the strength of America’s vital center,” says Publishers Weekly. “An illuminating trip through parts of the country generally missed by the media spotlight...writing with lively curiosity and open minds, the couple have created a well-reported, optimistic portrait of America’s future.” (Kirkus Reviews). After 43 years writing for The Atlantic, largely as a National Correspondent, Fallows assumed the role of Europe Editor for the magazine’s first Global Bureau, located in London, England. For his always-perceptive, sometimes prescient writing, he has won the National Book Award, the American Book Award, and the National Magazine Award. His book China Airborne, a study of the staggering rise of airlines and airport infrastructure in China, was called “informative and lively,” by The Economist. His previous books include Postcards from Tomorrow Square, essays about the economic and political transformation occurring in China; Blind into Baghdad, about the lead-up to the War in Iraq, which is now required reading in many military programs; and Breaking the News, about the crisis facing contemporary news media. His documentary series On the Frontlines: Doing Business in China was awarded the 2010 Emmy Award. He has been a software designer for Microsoft, a speechwriter for President Jimmy Carter, the editor of US News & World Report, and is an instrument-rated private pilot. He is also now the chair in U.S. media at the U.S. Studies Centre at the University of Sydney, in Australia. Today’s dominant political refrain is that America is in a state of decline. But to James Fallows—one of our most respected journalists—nothing could be further from the truth. Over the course of a three-year, 54,000-mile journey across the country for The Atlantic, as well as his upcoming book Our Towns (May 2018), he discovered many surprising points of reinvention, in every region of the country—and enough to refresh the bleak national conversation to reflect a positive truth. In this keynote, Fallows reports on the wide range of civic projects underway that are rebuilding America—a cross-section of generations, races, and political affiliations working far from the usual metropolitan hubs. You’ll hear how local heroes, community-minded action, and big dreams are signaling an end to the second gilded age. You’ll learn how real private-public partnerships, resuscitated downtowns, flourishing arts scenes, and schools—research universities, community colleges, and experimental classes—are renewing the tattered social fabric. And you’ll hear how these small, innovative, open places are producing an “archipelago of startups and reinventions.” This is the quiet revival the media can’t hear—the sound of America, in every corner, coming together again. James Fallows delivers a monumental and richly textured look at everything you need to know about doing business in China. And he means everything. Reporting from China since 2006, Fallows lucidly explains the economic, political, social, environmental and cultural forces that have transformed China—from poverty to world superpower—at breakneck speed. What can American companies learn from China's growth, and why shouldn’t we shudder in fear? To what degree are the Chinese and American economies intertwined? Why have most American companies in China remained profitable, even in the economic downturn? In customizable talks, Fallows unpacks the information relevant to your industry and provides a roadmap for sustained growth. Whether you have offices in China, or are thinking about expanding there, Fallows offers a fresh perspective, as well as invaluable advice on how to overcome cultural barriers, how to master negotiating with the Chinese, and how to avoid costly mistakes. This is a breathtaking talk that will help you understand the forces shaping the 21st Century. Fallows shares the human stories, charts China’s bumpy transition to democracy, and makes sense of both its economic explosion and its environmental impact—while showing us what its growth means for us. Fallows has covered the major foreign policy stories of our time—from Iraq to North Korea to Iran to the Israeli-Palestinian conflict and beyond. In this talk, he delivers an unsparing look at the challenges to American foreign policy: our actions in various regions, how other countries perceive us, and how upheavals overseas will impact us. In particular, he dissects the planning and execution of the War in Iraq, pinpoints where it all went wrong, shows us what lies ahead, and draws valuable lessons for future military actions. James Fallows: The Future of Energy Includes "Clean Coal"
James Fallows: With bin Laden Dead, Will an Unending War Finally End?